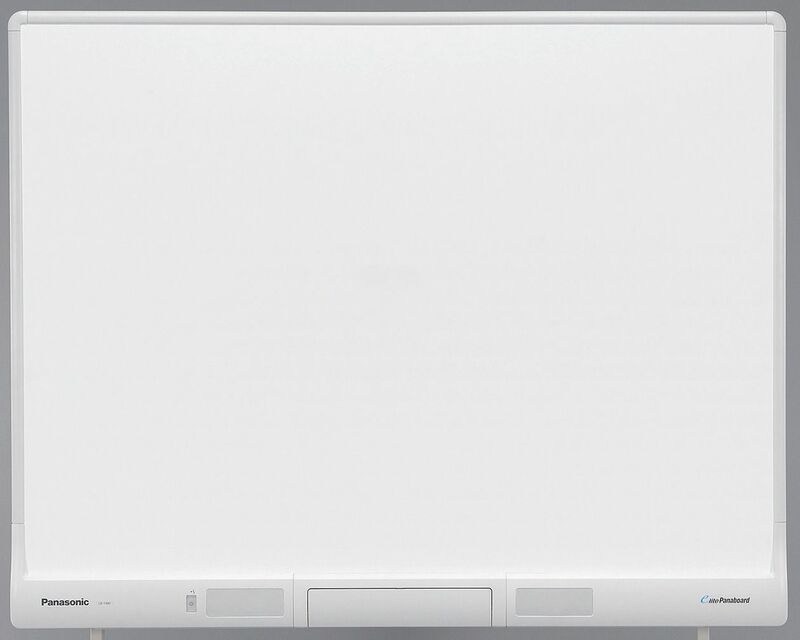 Looking for a modern looking, portable, transparent large whiteboard? This MOI glass easel dry erase board is many great products rolled into one. It has a nice stylish look to it, solidly built components, and a glass dry erase surface that looks futuristic and allows for many types of applications. 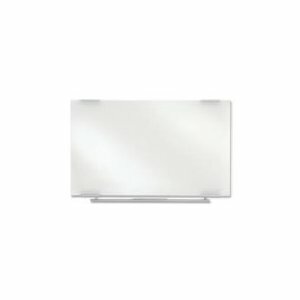 This glass whiteboard measures in at 37″ in width by 62″ in height, this means that you have a very nice 16 square feet of white board surface to work with. For the full specs, click here. MOI’s glass board is outlined in a tasteful dark aluminum and has a solid piece across the bottom for reinforcement that is made of perforated steel. Four solid caster wheels provide the easel with portability and have the ability to lock in place – this means that the board will not sway or move during use. The wheels are large enough to also ensure smooth rolling, it is easy to move across bare floor and carpets and will not fall over easily when crossing doorways or other small obstacles. Additionally, this dry erase board comes with a center rail attachment that will hold your accessories: dry erase markers, erasers, cleaning fluid, etc. That said, you probably won’t be needing cleaning fluid with this board – glass is one of the best known surfaces for use with dry erase markers. There is little to no likelihood of the board exhibiting “ghosting” or other remnant marks. This nice looking whiteboard also requires almost no assembly; it comes pre assembled with the only the caster wheels needing to be attached prior to use. If you are looking for a modern, useful, and stylish board then this is one that you should definitely consider. With the nice dark aluminum color, the safety glass surface, and the caster wheels for movement, you have it all in one board.